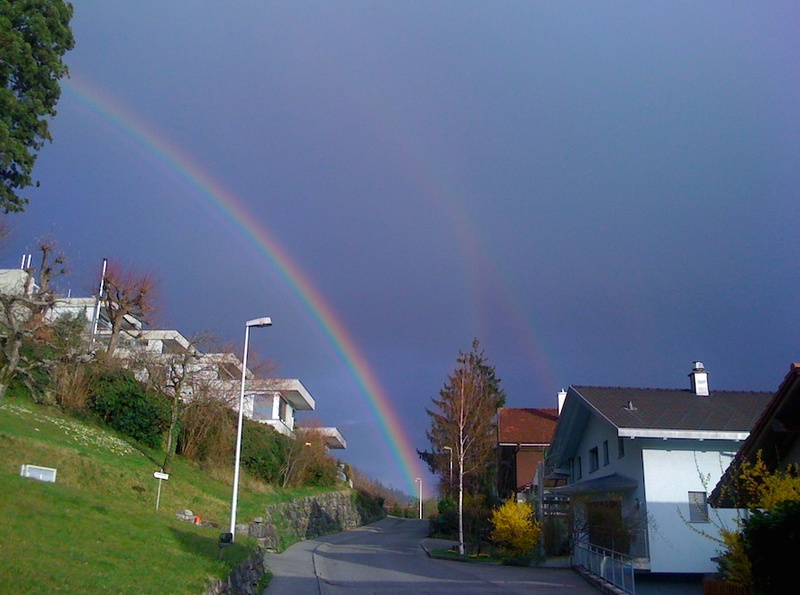 Here’s something you don’t see every day: almost every rainbow attribute in just one photograph, taken just outside my apartment on Lake Thun, in Switzerland. Clearly visible are a primary rainbow, a secondary rainbow, supernumerary rainbows, a reflected rainbow – as well as two clear dark areas known as Alexander’s bands. The region between the secondary and reflected rainbow is especially dark, and that is very rare to observe.